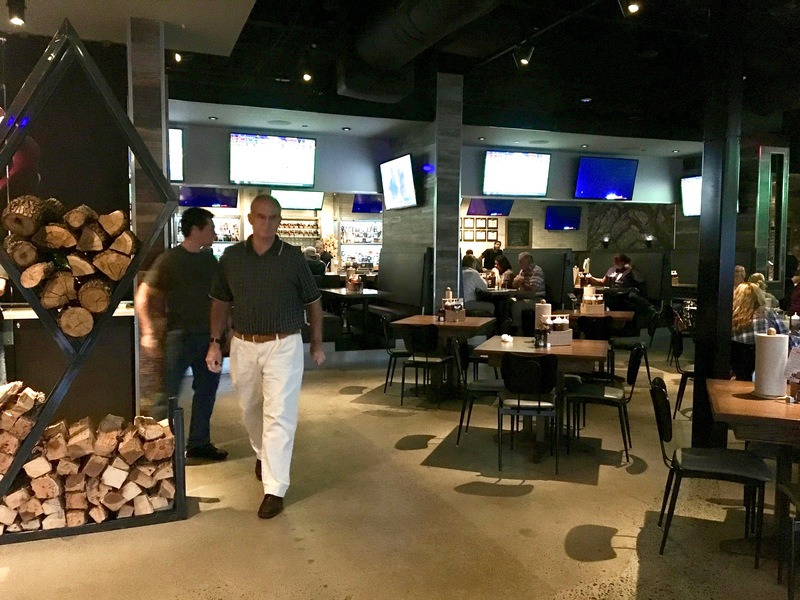 Just what we need in East Cobb, another barbecue place within walking distance of Sam’s BBQ #1, which many feel has the best ‘cue in Cobb, right? Well, as your Date Night correspondents found out, wrong! 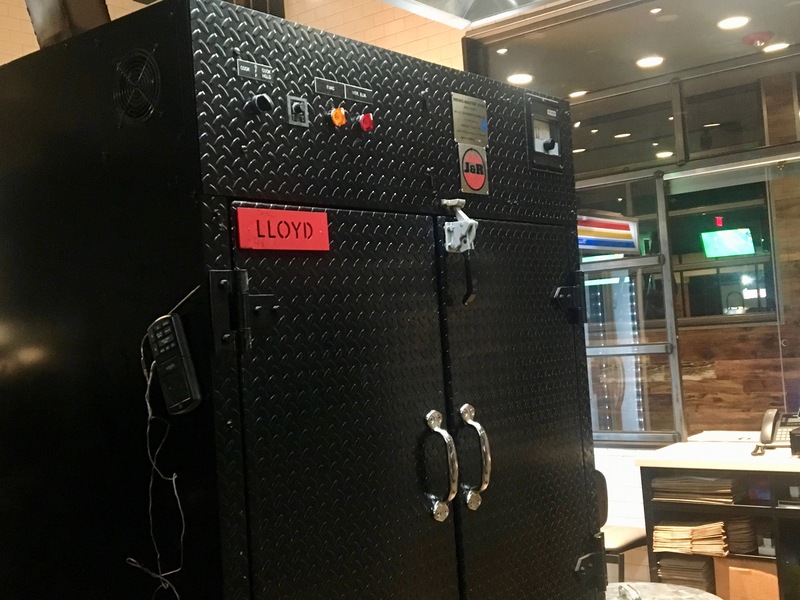 These guys are transplanted from Texas (and named after the two guys in 1994’s “Dumb and Dumber), where they know a thing or two about smoking meats. Harry and Lloyd get their own area where you can go visit them. And order lots of barbecue to go. 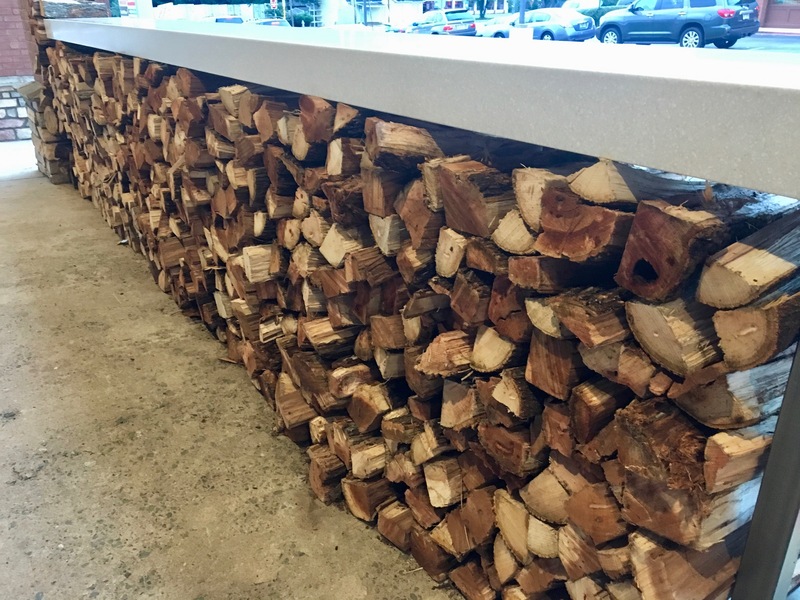 Evidently, the smokers need to be fed lots of wood, and wood abounds here. They even stack it up at the entrances to the restaurant. 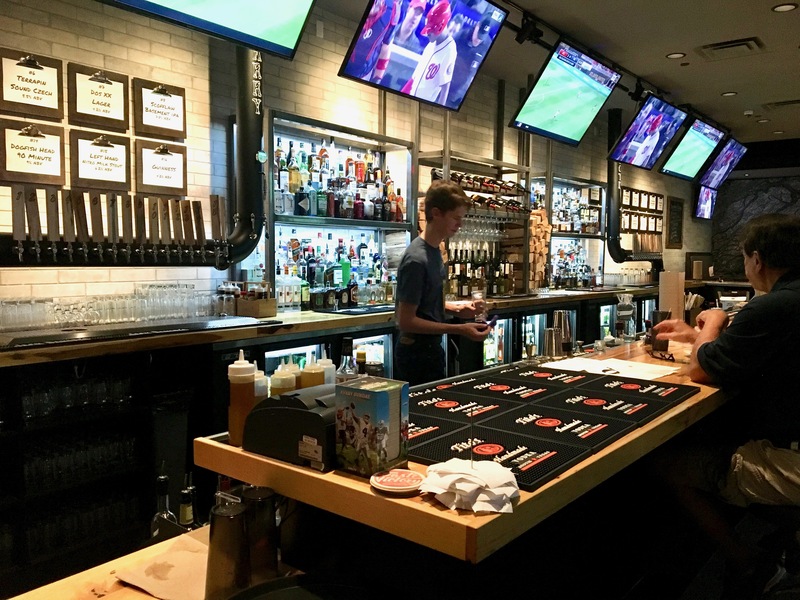 There are lots of sports screens, and 32 taps behind the bar. 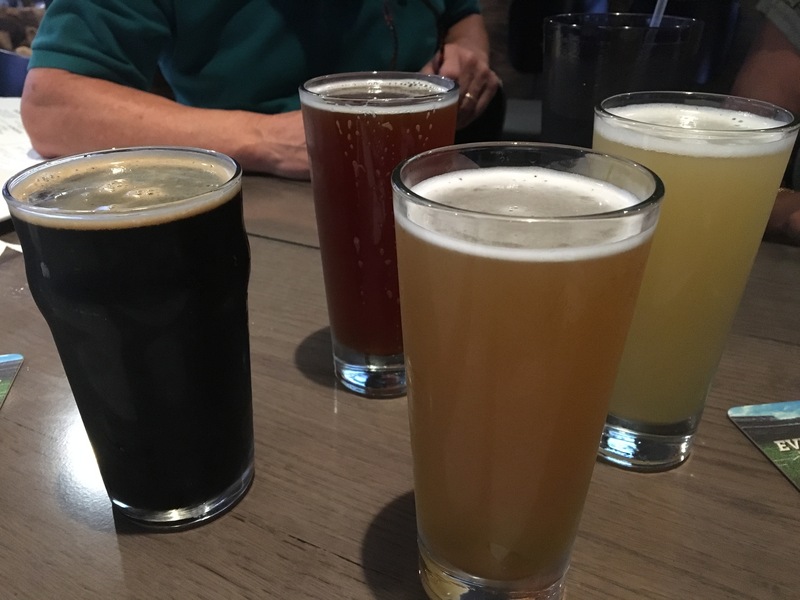 We counted them ourselves, but only sampled four. We are joined tonight by East Cobb Dining Society’s Stephanie and Bill, who we try to meet up with once a month. That’s why there are four beers on the table, not because we are really thirsty. 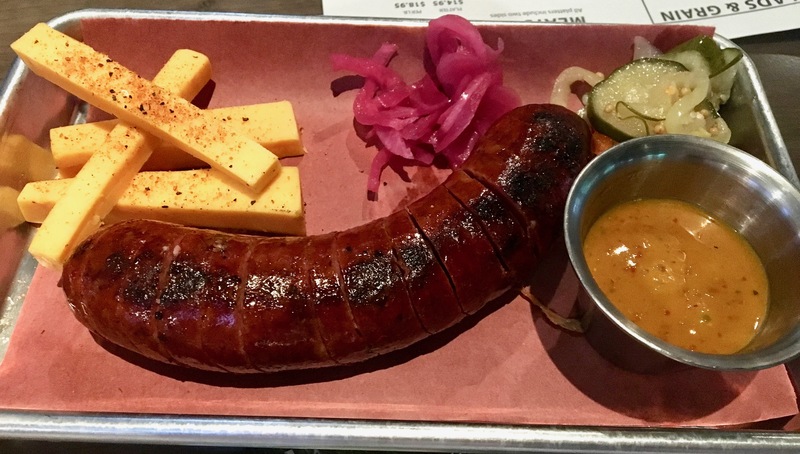 We order the sausage appetizer to go with our beers. It’s thick, moist, and tender, and so good that a vegetarian would be tempted to try a bite. 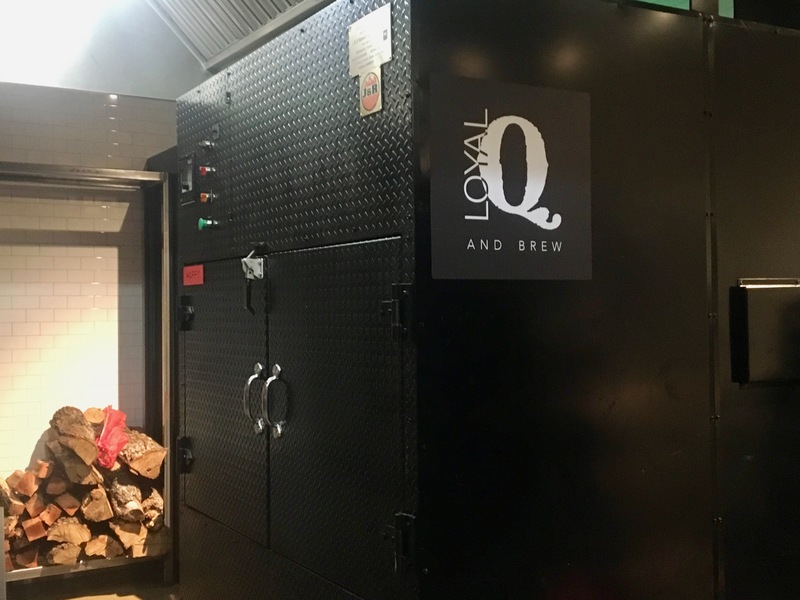 If you don’t eat meat, Loyal Q has you covered. You can get salads and even quinoa bowls. Those are hard to find at a BBQ joint. 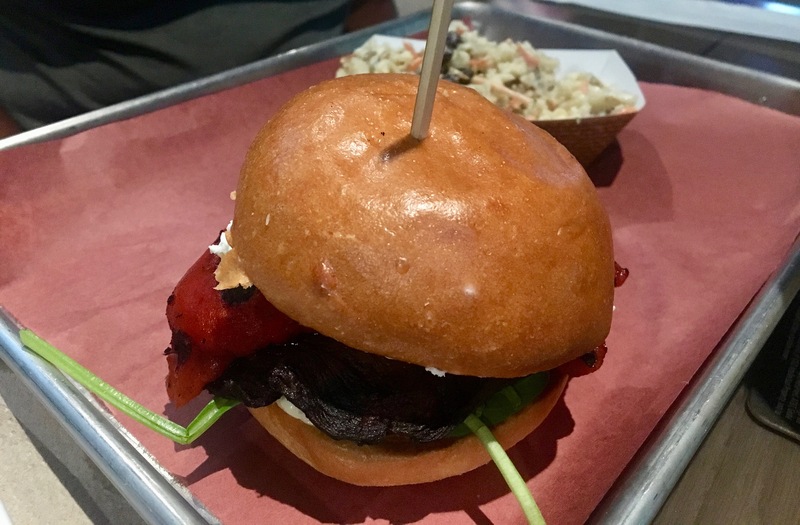 Or you can get a smoked portobello mushroom sandwich. You are probably here for some meat, though. 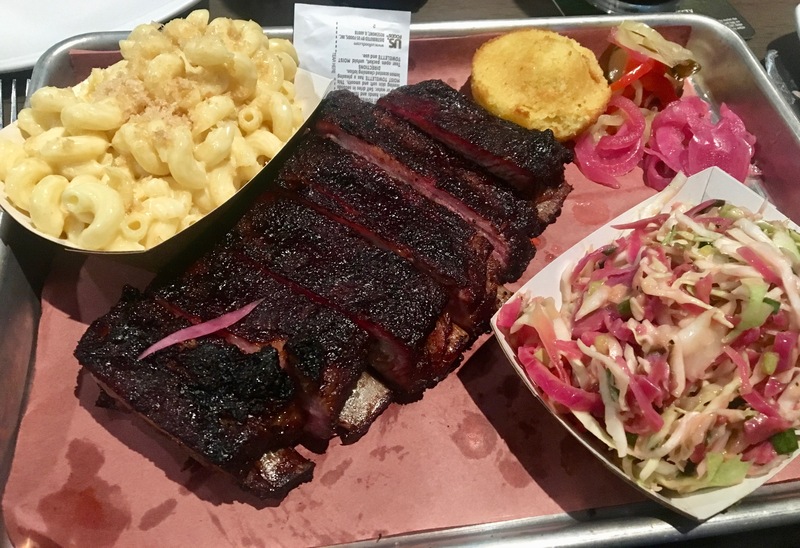 Ribs, anyone? Yes, please. The ribs come out meaty and moist, with just the right amount of dry rub on them. You can sauce them up with many choices of sauce, but we like them dry at Date Night. Where can you go in Atlanta that has a purple sink and periwinkle glass tiles in their bathroom? 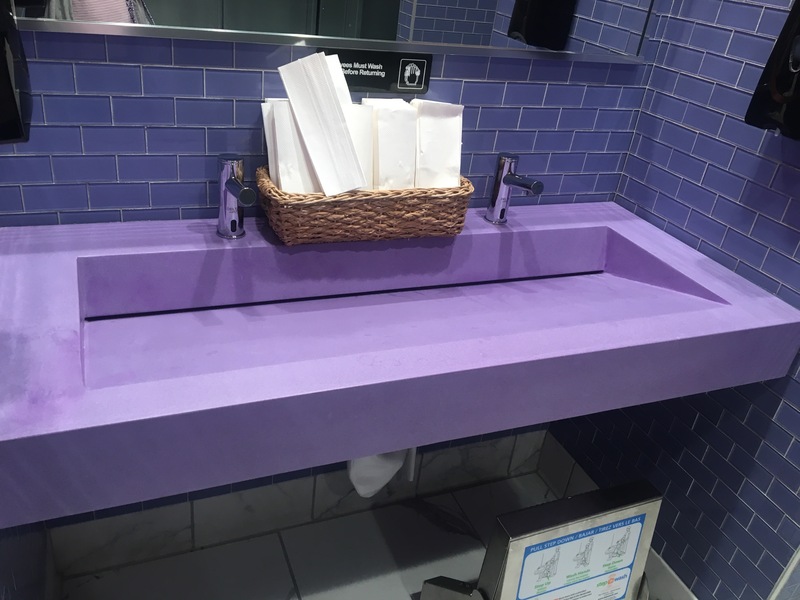 My “purple princess” likes this sink so much that she takes a picture of it to share with our readers. This may be the first time we publish a bathroom picture on this blog. 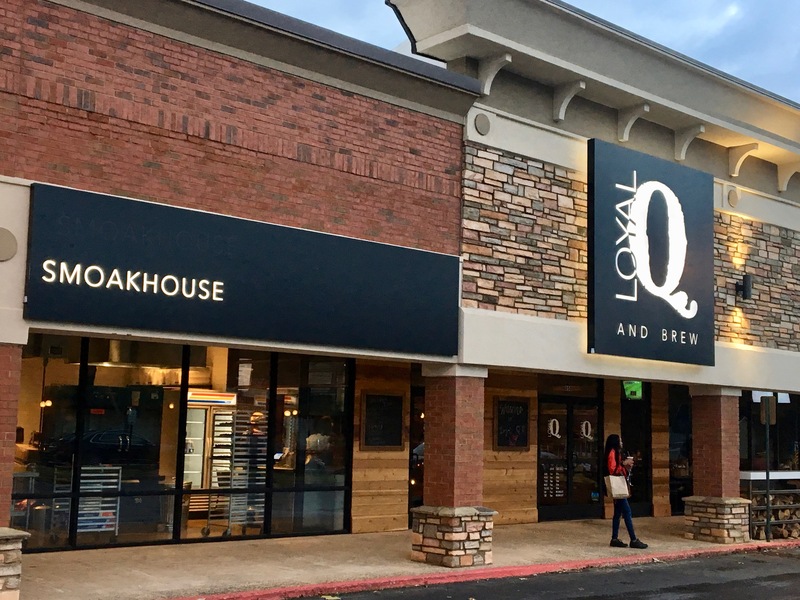 The bottom line on Loyal Q: These guys can compete with any of the “legendary” ‘cue joints in Cobb County. They are the new guys in town and they are bringing their “A” game. 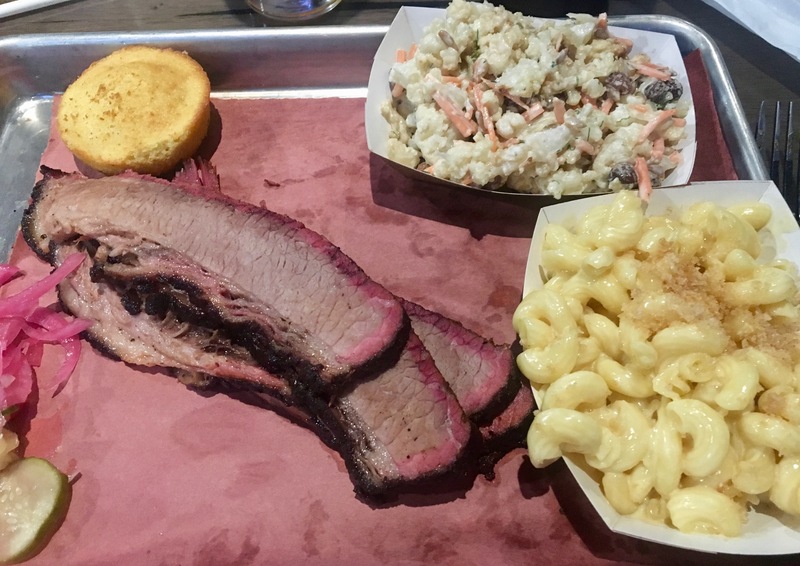 The service is blindingly fast, and you won’t find a beer selection (or any beer for that matter) like this at any smoked meat emporium in the area. Or sports on TV, or table service, or a full-service bar, or a nice atmosphere. Welcome to the neighborhood, Harry and Lloyd. We’ll be back.